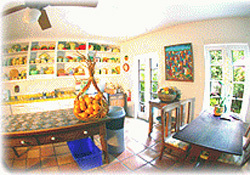 The Key West Bed and Breakfast - The Popular House- at 415 William Street in the quiet heart of Key West's "Old Town" and is listed on the National Historic Register. A lovely 3-story Victorian hosted by Jody Carlson." 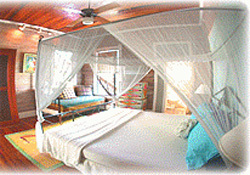 We have eight guest room uniquely decorated in a Caribbean style,high ceilings and hard wood floors. 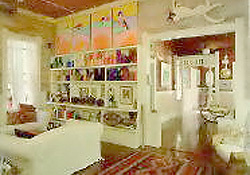 An extensive collection of local art for you to enjoy. A Jacuzzi and sauna are for your relaxation and a complimentary breakfast at your leisure! Color, beautiful art and music await you. 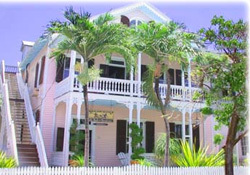 Reserve your room or rooms Now in our Beautiful William Russell House (circa 1898) Key West Bed and Breakfast!